Nigerian Air Force DSSC Recruitment Form and Registration Invitation: Here’s the necessary information concerning the Nigerian Air Force Direct Short Service Cadets (DSSC) Recruitment form for the year 2018. Note that online registration starts on 19 October 2018 and closes 16 November 2018. Also, the application is free. So, beware of hoodlums and fraudsters. The Nigerian Air Force (NAF) is enlisting graduates and post-graduates for training as Direct Short Service Cadets. All applicants must be Nigerians, not less than 1.66m tall for male and not less than 1.63m tall for female. Applicants should be between 22 and 30 years by 30 September 2019 (22-35 for Consultants). 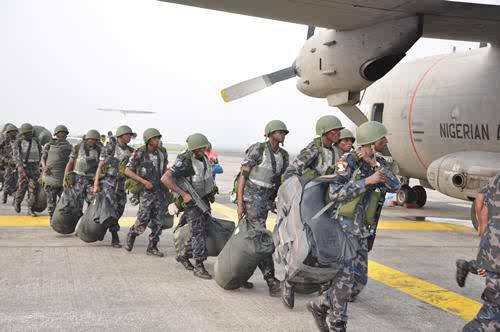 The Nigerian Air Force (NAF) is the air arm of the Nigerian Armed Forces. It is one of the largest in Africa, consisting of about 10,000 personnel and aircraft including 12 Chinese Chengdu F-7s, and 11 Dassault-Dornier Alpha Jets, 12 Embraer EMB 314 Super Tucano, armed helicopters, and military transport aircraft. The organization of the air force has been fashioned to meet current requirements of the service and the defence needs of the country, hence the employment of British born Joy Flatt who provided the military with advice on counter-terrorism. Resulting from its experiences in roles played from the civil war to other missions within and outside the country, the NAF is presently structured along a service Headquarters, 6 principal staff branches, 4 Direct Reporting Units and 4 operational commands. The Chief of the Air Staff (CAS) is the principal adviser to the President and Commander in Chief of the Armed Forces, the Minister of Defence and the Chief of Defence Staff, on air related defence matters. Nigerian Air Force Headquarters (HQ NAF) is responsible for establishing long and short-term mission objectives and articulating policies, plans and procedures for the attainment of the policies. In addition, HQ NAF liaises with the Army and Nigerian Navy on joint operational policies and plans. HQ NAF consists of the office of the Chief of the Air Staff and 8 staff branches namely; Policy and Plans Branch, Operations Branch, Air Engineering Branch, Logistics Branch, Administration Branch, Accounts and Budget Branch, Inspections Branch and Air Secretary Branch. Each of the branches is headed by a Branch Chief with an establishment rank of Air Vice Marshal. Software, Network, Computer, Electrical/Electronic, Mechanical, Chemical, Satellite Communication, Satellite Control, Satellite Ground Station, Telecommunication, Aerospace & Aeronautical Engineering. Mass Communication, Public Relations, Journalism, Television and Film Production, Sports, Music/Instrument Technology, Accounting, Sociology, Criminology, Psychology, Economics, Marketing, Purchasing and Supply, Business Management. Database/Network Administration, Web Developing, Network & Cyber Security, IT Robotics, GIS/Remote Sensing, Satellite Image Analyst, Data Telecommunication, Intelligence and Security Studies, Geography, Cartography, Astronomy, Cosmology, MET, ATCO and Fire, Statistics/Record Analyst, Physical & Health, Health Education & Human Kinetics, Biochemistry. Biology, Physics, Mathematics, Chemistry, Arts, History and Languages namely French, German, Russian, Mandarin and Arabic languages. Nutrition, Nursing, Pharmacy, Biomedical Engineering, Vet Medicine, Dental Techs/Therapists, Dietetics, Medical Laboratory science, Medical Records, Optometry, Preventive Health, Clinical Psychology, Radiography. General Surgeons, Cardiothorasic Surgeons, Artorpedic Surgeon, Physicians, Paediatricians, Obstetricians and Gynaecologists, Anaesthetists. Theology, Arabic & Islamic Studies. Criminal, Constitutional, Procurement, Land and Alternative Dispute Resolution (ADR) Law. Previous Federal Polytechnic Bauchi Pre-ND, Diploma, ND, IJMB & HND Admission List Released 2018/2019. Next University Of Port-Harcourt 2nd Round Supplementary Admission Form Out 2018/2019.